Don't you ever feel a little sad or disappointed when your favourite food is suddenly gone from the menu? Like omg, that is the meal that I will always order, but now it's gone.... WHAT SHOULD I DO????? And needless to say I was so happy and excited when I first heard the news because... I really missed eating it okay! And I can say... I nearly, yes just nearly... forget how it tastes like already! 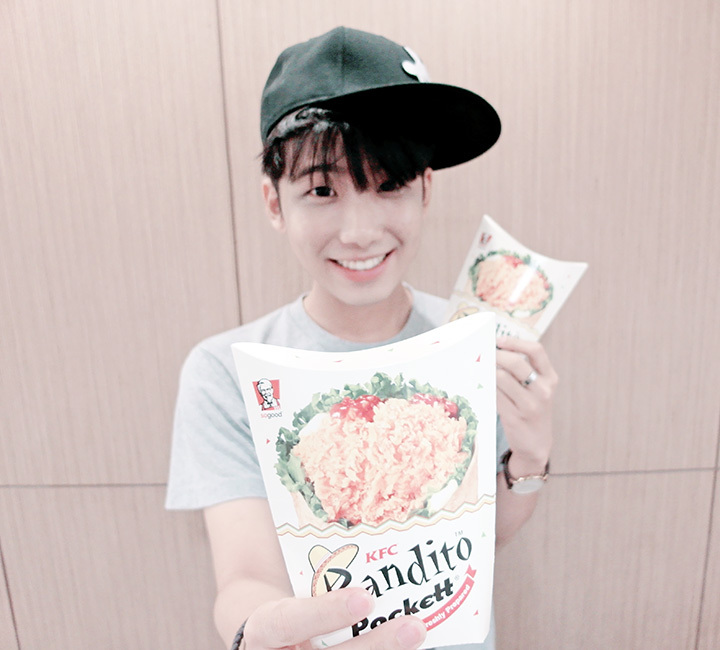 Good thing is that KFC Bandito Pockett came back just in time hahahaha! 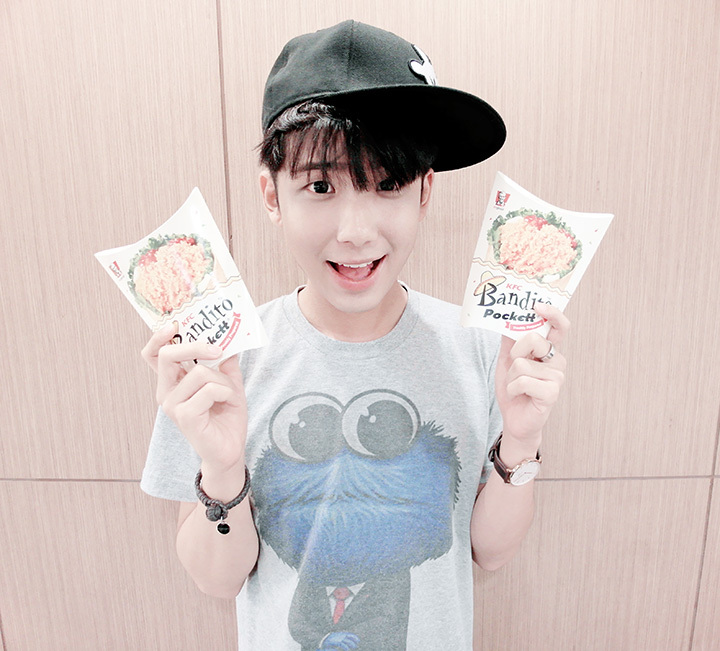 Thank you ah KFC!!!! And I swear I was so excited to eat it, that the first thing that I did when I reached the food tasting event was not to take pictures BUT to sit down and finish my whole KFC Bandito Pockett meal! Serious, never lie. Rachell was asking me why I never take any pictures first and was already gobbling up the food, because that is so not my usual style hahaha! But I was hungry at that point of time and it's been sometime since I had Bandito Pockett already okay, of course must quickly indulge in it lah! No time to waste lol! Here's my KFC Bandito Pockett in the packaging. 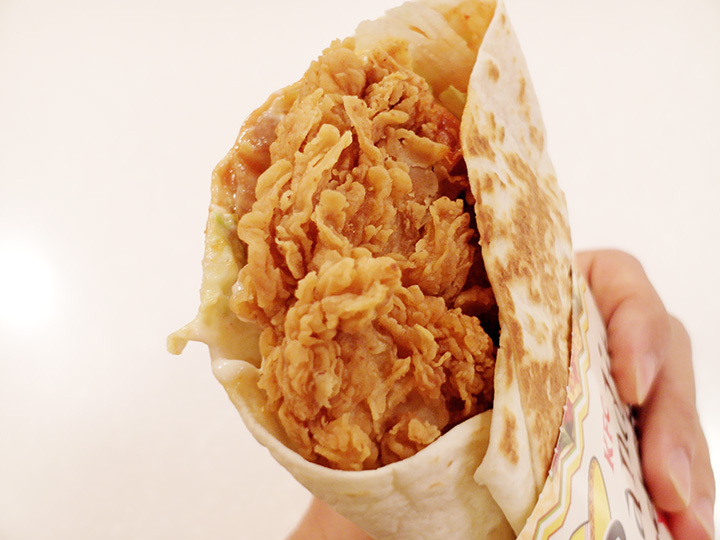 They have the same tender, juicy 100% chicken fillet marinated in signature hot & crispy flavour as the Zinger! Which I know is everyone's favourite too cause of the delicious chicken fillet! 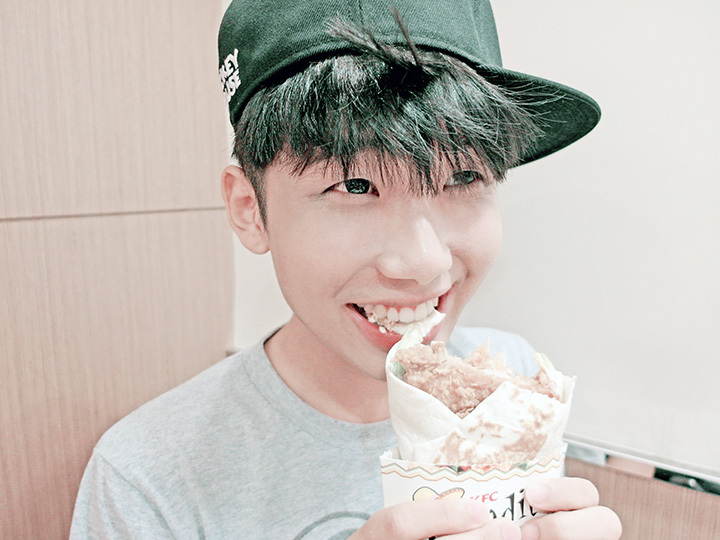 I love the chicken fillet cause it's always tender and not hard at all, which is super important to me!! 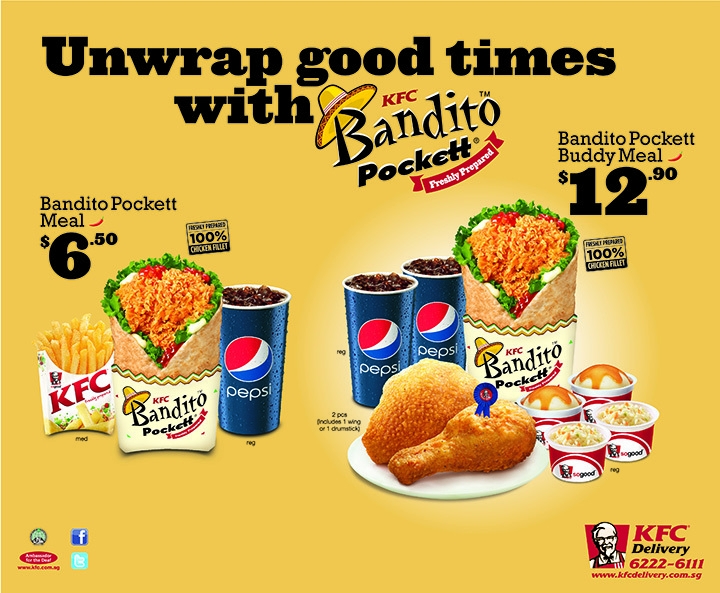 Here is me unwrapping good times with KFC Bandito Pockett and at the same time, wrapping up all the dreadful moments which I wished they can be wrapped up as soon as possible! 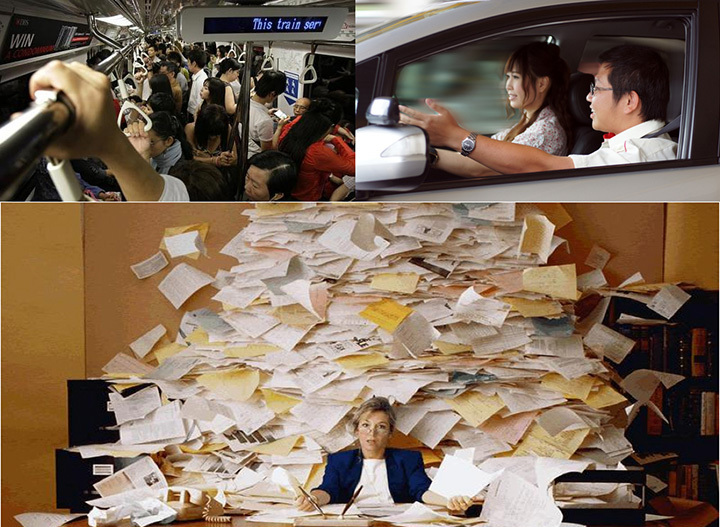 Getting stuck in human and traffic jam on our way to work or even when going back home! The crowd during peak hours is crazy! Also my boring driving lessons, and the endless work to complete with dateline to meet! How I wish I could wrapped all of this up as soon as I can! 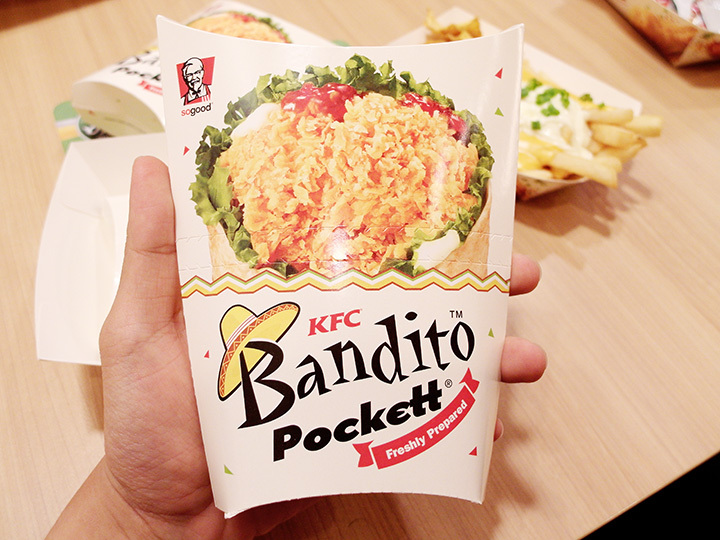 And now we can with KFC Bandito Pockett!!! Wrapping up all our worries and trouble, and at the same time, unwrapping good times as we munch on it and have it in our tummy hahahaha! It's amazing how everything goes so well together in the Bandito Pockett, giving a very full and rich flavour! Other than the chicken fillet, I also specially love the tortilla too! The texture is just so right! Also while I unwrap good times with my KFC Bandito Pockett, I can also do other things easily! Multi tasking is made easy hahaha! Cause it's so easy to hold the Bandito Pockett just in one hand and you can do other things at the same time! For example you can easily take selfie of yourself or of people or scenery, or you even FaceTime with your love ones while eating it. Not bad right hahaha! 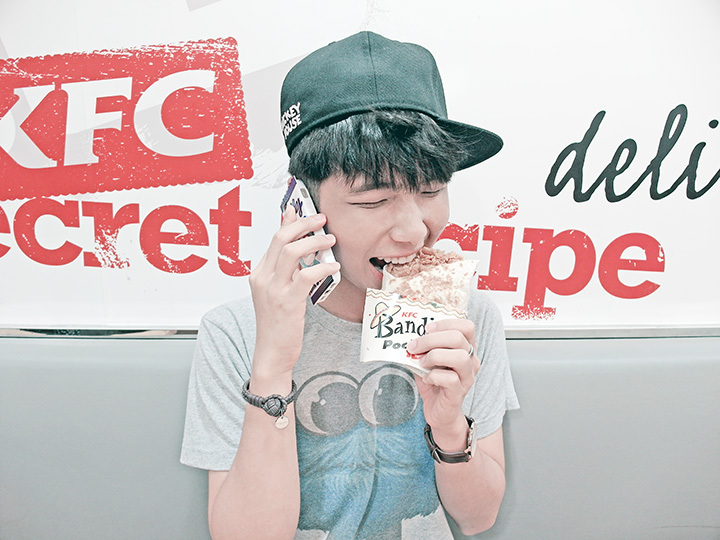 We also can make a phone call while eating it or even use our laptop while eating too omg! That's like making best use of our time so that we can live life to the fullest hahahaha! And good news for the cheese fries lovers!!!!! 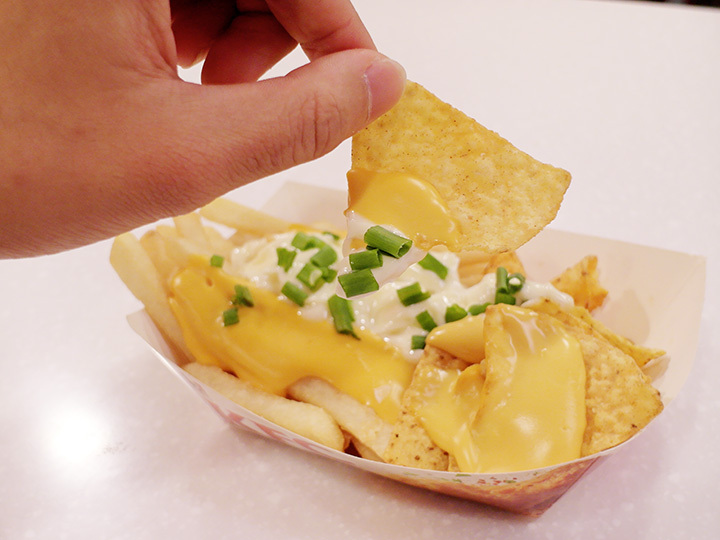 Introducing Cheesy Nacho Chips and Fries!!!!! 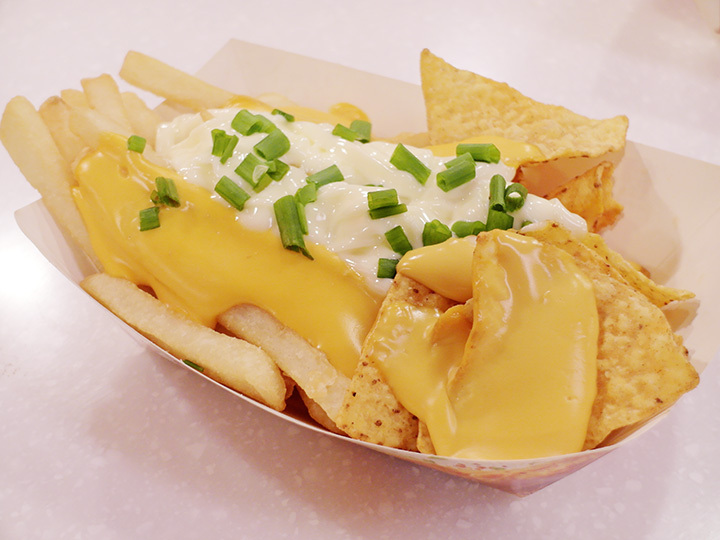 Omg nacho chips and fries together in one!!!! I just cannot take it. 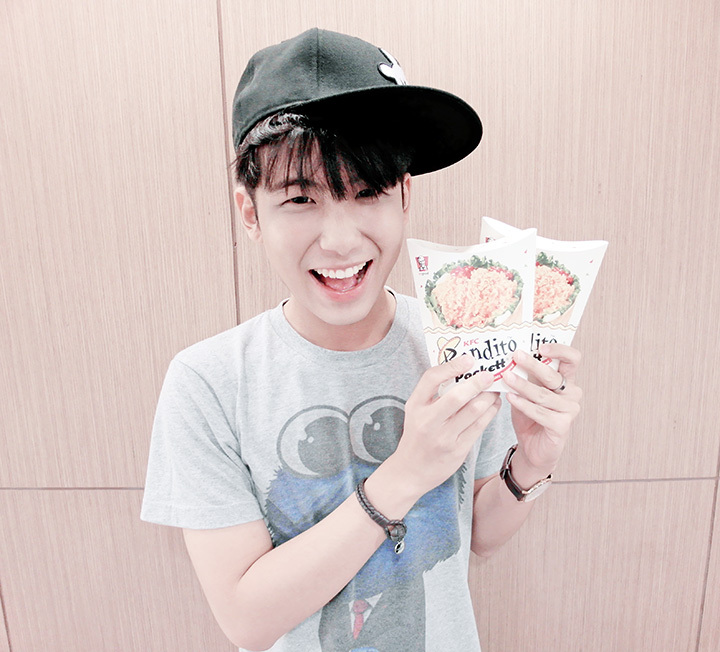 The combination is so perfect especially with their cheese sauce okay!!! Group picture of Rachell, Peishi and me!!! Rachell brought instax camera that day as well, so we took quite a number of them! 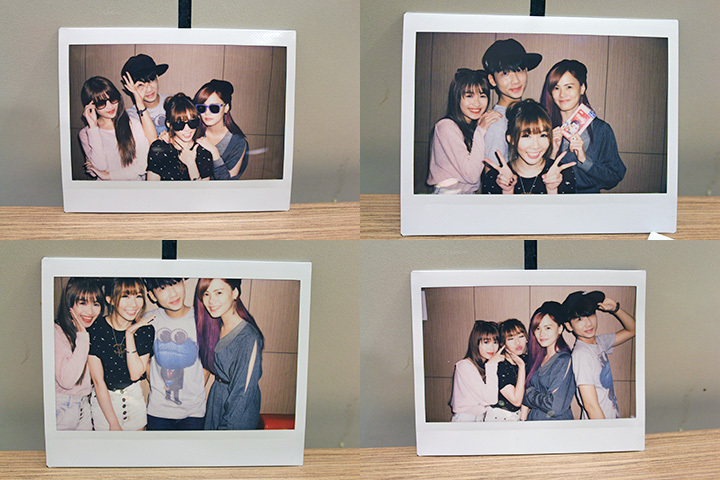 Some of the close up single shot of the polaroid! Had so much fun!! Fun loving friends accompanied with great food is super awesome!! 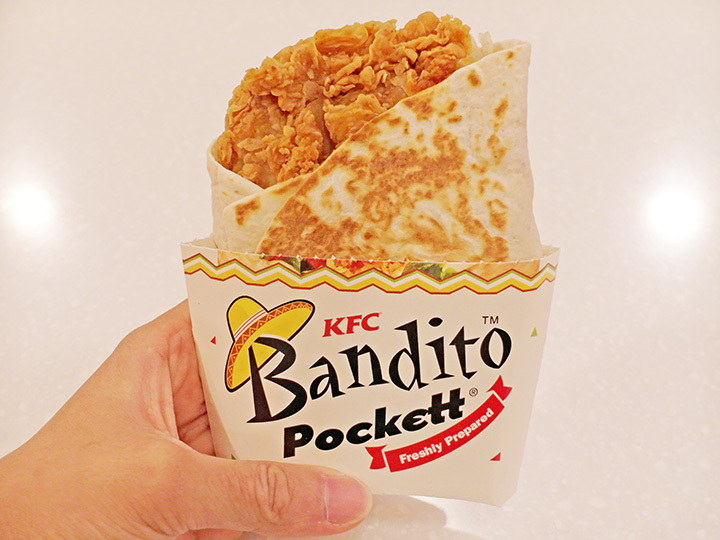 You guys can now go to any KFC restaurants to enjoy Bandito Pockett in a meal, which comes with a medium Fries and a regular Pepsi at $6.50 or simply order a Bandito Pockett Buddy Meal! For $12.90, you’ll get a Bandito Pockett, 2 pieces of Signature KFC chicken, 2 regular Whipped Potato, 2 regular Coleslaw and 2 regular Pepsi.... a perfect meal to share with your buddy/lover/family/friends! 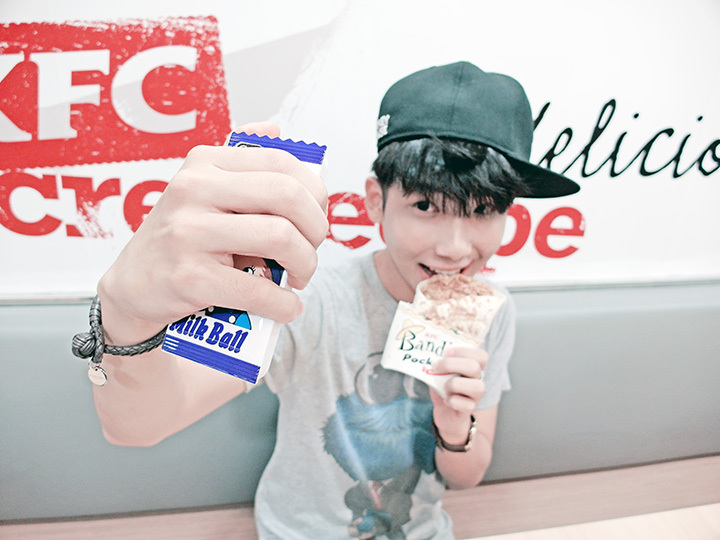 Lastly, let me end off with a KFC Facebook Contest just for you! 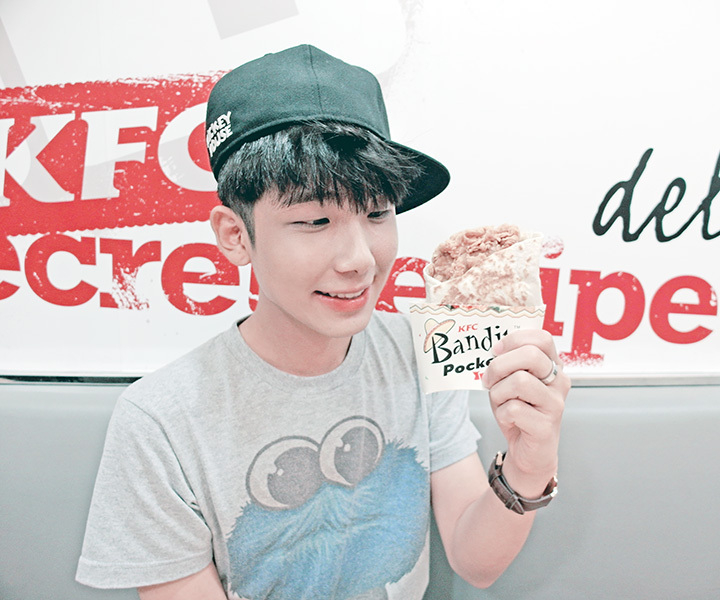 The KFC Singapore facebook contest that will allow you to win a Bandito Party for 10 pax!!! good times with a KFC Bandito Pockett Party! From now until 21 March, KFC wants you to tell them how you unwrap good times with some of your friends, co-workers or classmates! You and your Bandito Buddies could score an awesome good time with KFC! 3 lucky winners stand a chance to win $100 Cash + $120 worth of KFC Food (including loads of the Bandito Pockett!) for a Bandito Party on either 28 or 29 March at a location of your choice! Step 3: Include the day of choice for your Bandito Pockett Party (28 or 29 March) and if you prefer lunch or dinner. 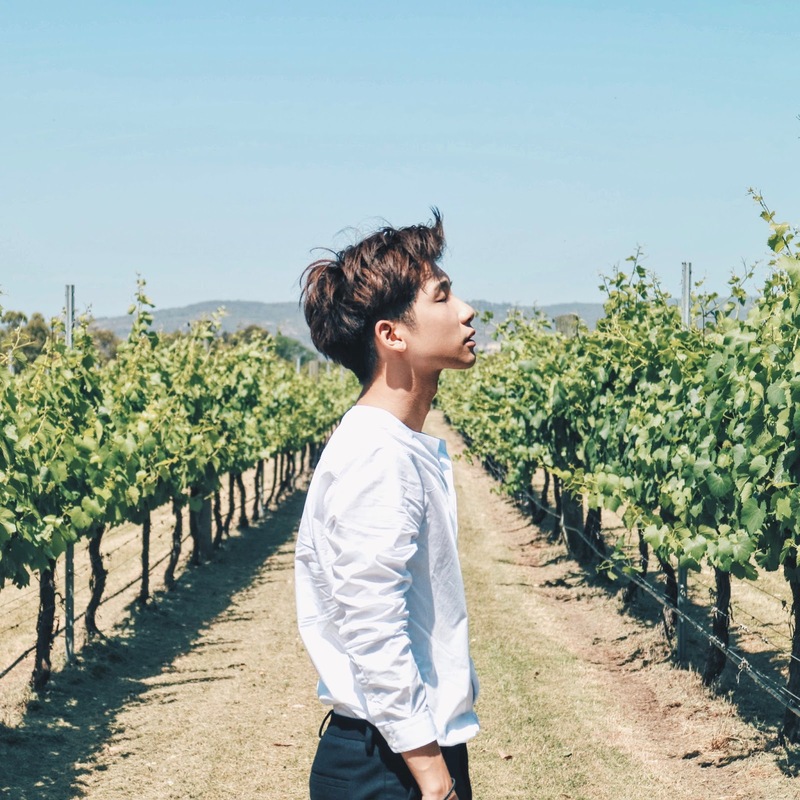 Do also go "Like" them over on their Facebook page (link above) to stay connected with them for more promotional details as well as contests, and future exciting products that will be coming up soon! 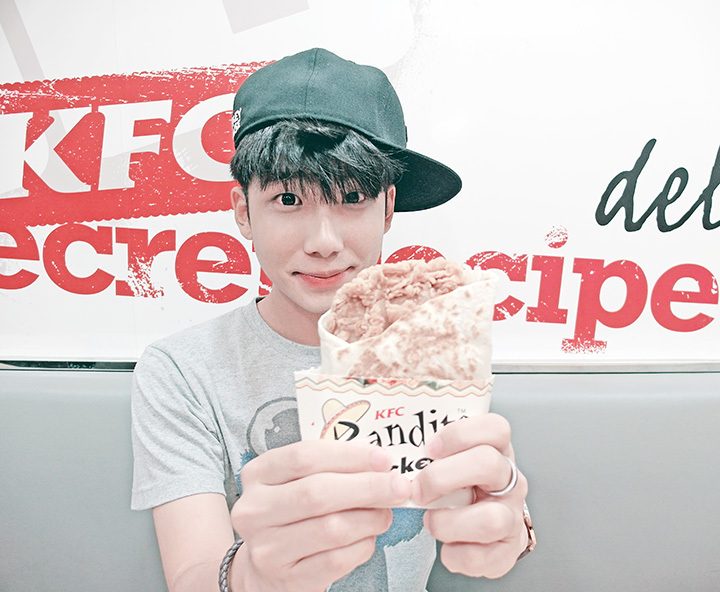 You also can go to their website, http://www.kfc.com.sg - for more information about all their products! Good luck and all the best to everyone k! Haha you are really good at blogging! Now I feel like eating KFC too! Love ur way that you wirte ur blog, just like load into ur blog and read!! Picture and word are intresting.Love it very much.